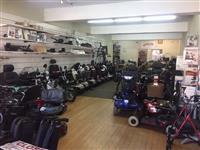 The business has been established over 20 years as a small retail business specialising in electric mobility equipment for the elderly and or disabled clientele. It is located on the popular Northern Beaches where many older people reside. They are service the Central Coast area as customers are located there also. 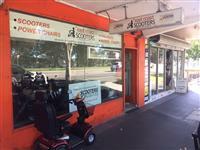 They sell both new and refurbished scooters and lift chairs and current sales are approximately $334K for 2016 and on track for a similar result for the current financial year. The bulk of the sales are refurbished stock as this area is more lucrative. They also service both new and used stock which is a component of the business. If you have a sales background and hands on approach with basic mechanics then this could suit you. To receive further information on this business we require a Confidentiality Agreement to be endorsed. On receipt of the agreement we will forward an Information Memorandum which gives financials and more details in order to make an informative decision.